At my529, we are constantly striving to make it easier for you to manage your clients’ 529 accounts. 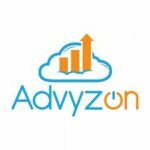 Recently, a number of firms have inquired about receiving data feeds through Advyzon. We are happy to announce that we have added the company to our mix, and it is now available for you to use. If you use other data integration companies in your business, please reach out to our Professional Services team, and we will be happy to look into your situation. Our contact info is located below, and you can schedule a meeting with us on calendly.com: calendly.com/advisorinfo.